Single Day – November 11st has become an annual shopping occasion, a promotional-hunting monumental on a global scale. In recent years, the heat of the event has spread to Vietnam market, and large e-Commerce platforms like Lazada, Shopee, Tiki, Sendo obviously have not stood still. After only 3 days of shopping in the wake of November 11st, some very impressive numbers and records were set. 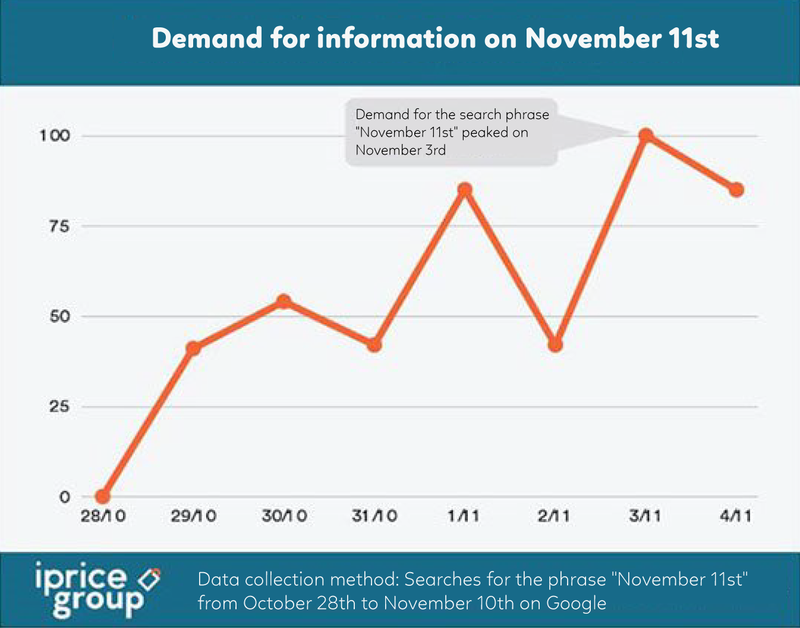 According to data from iPrice, this year, Vietnamese consumers had been looking forward to the sale-off festival of November 11st from as early as late October. Large Vietnamese e-Commerce platforms such as Lazada, Tiki, Shopee, etc.. had also come up with plenty of ways to promote their own special deals for this occasion pretty early on. Thanks to this special attention from sellers and consumers alike, many procurement record was set only a few days after the official 2018 Single Day in Vietnam. Boxme has kept track of all the statistically impressive numbers from leading e-Commerce platforms in Vietnam, including Tiki, Lazada, and Shopee. Apart from discounts, e-Commerce sites in Vietnam have several other forms of promotion. Thus, sellers on Tiki, Lazada, Shopee or many other e-Commerce sites have an enormous chance to increase sales and achieve higher revenue. It is no secret, judging from these data, that Vietnamese consumers are not afraid to vent their wallets to the last cent in order to salvage the best deals out of online shopping festivals. From the beginning of September each year, a series of shopping occasions brings about an unmatched opportunity to increase revenue for shops as well as e-Commerce platforms in Vietnam. 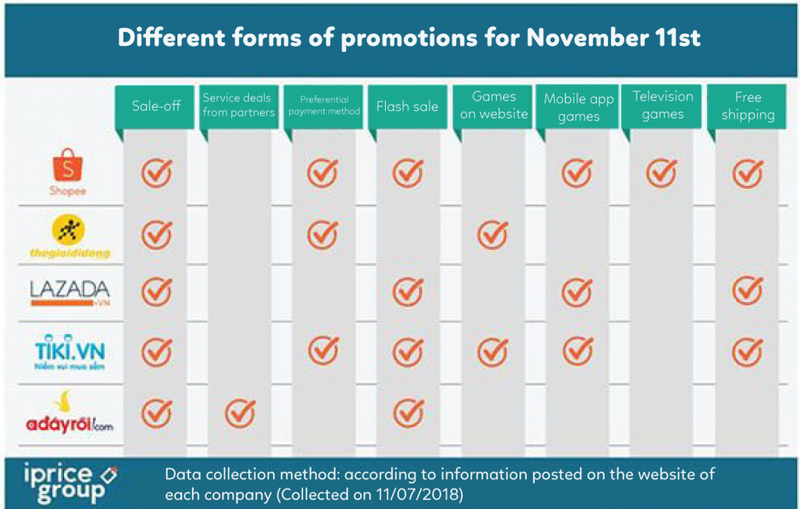 With the prime example of this year’s November 11st, upcoming big sale-off festivals such as Black Friday (November 23rd), Cyber ​​Monday (November 26th), Christmas (December 24th), New Year, Lunar New Year, etc.. will continue with the increasing expectation of breakthrough sales and orders. Predict the demand and import more products accordingly. Prepare extra carton boxes, labels, packing bags. Update shop’s information shop & make proper price adjustments. Hire more staff to process orders, pack, ship or to send packages to carriers. You need only worrying about sales, everything else from storing and product management, updating inventory, order processing, packaging, shipping, collecting money you can delegate to Boxme. Festive season sales has never been so easy!. Boxme integrates its API with Shopify, Woocommerce. Etsy, Magento, Shopee, Lazada and other e-Commerce sites. Simply push orders through and leave the rest for Boxme to handle. Festive season sales has never been easier. Refer and connect to our warehouses and be ready to increase your revenue dramatically today!